Before we start you should note that WireGuard is, at the time of writing (October 2018), a work in progress. If you want to use WireGuard for serious applications you should at least wait for the 1.0 release. If you are really concerned about security, you should even wait until an independent third party audited the software. Despite all this the software is in a functioning state and we can install and experiment with it. 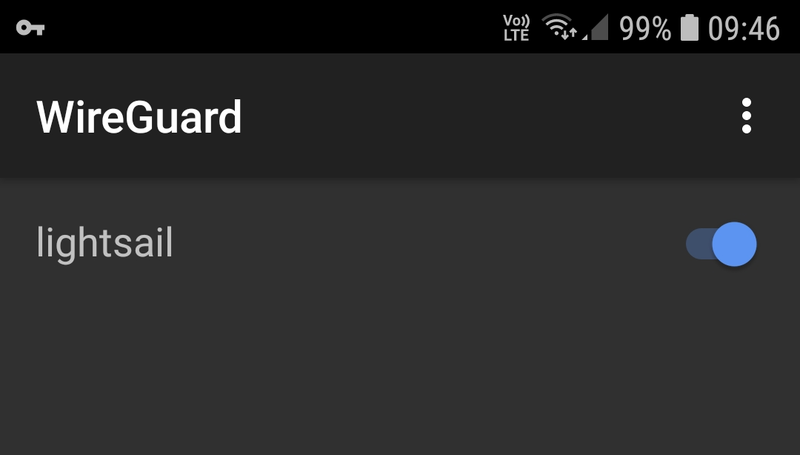 In the following sections we're going to install Wireguard on an Amazon Lightsail virtual server and install the Wireguard Android app on a smartphone. This is one use case of a VPN, to hide network traffic from an ISP. This is especially useful for mobile devices when you are connecting to public internet access points, such as hotels. All they see is a connection to the VPN server but nothing else. Another use case of a VPN, especially for companies, is connecting local networks of remote offices to the main company network. A VPN allows them to securely connect these two local networks over the public Internet. A company can also use a VPN for employees that work at home to allow them to securely connect to the internal network. Wireguard can be used for all these use cases. Currently Wireguard only runs on Linux, FreeBDS, OpenBSD, macOS and Android. A Windows client should come soon according to the web site. 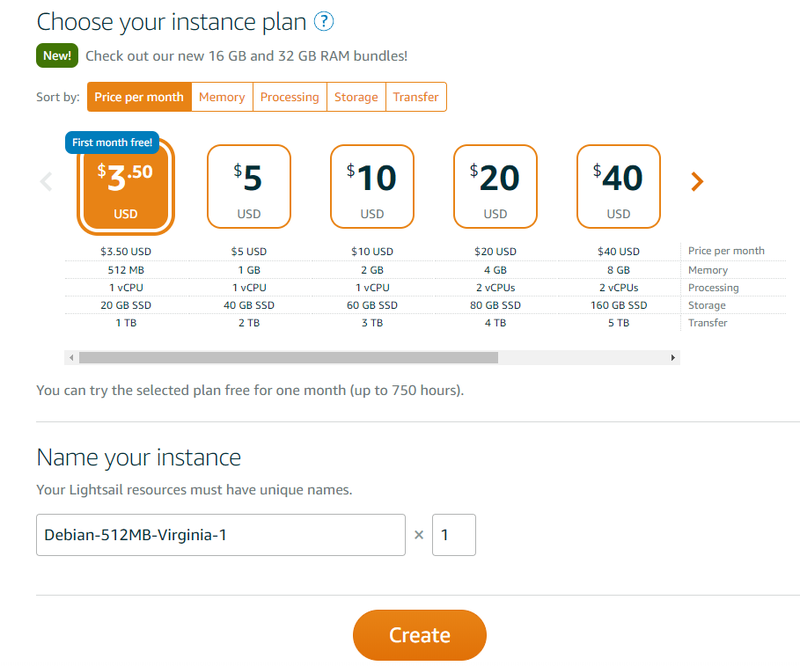 Lightsail is Amazon's answer to all the cheap VPS providers. It provides virtual server that run on Amazon EC2. You don't have to be familiar with EC2, Amazon makes it very simple to set up a virtual server with a web interface. 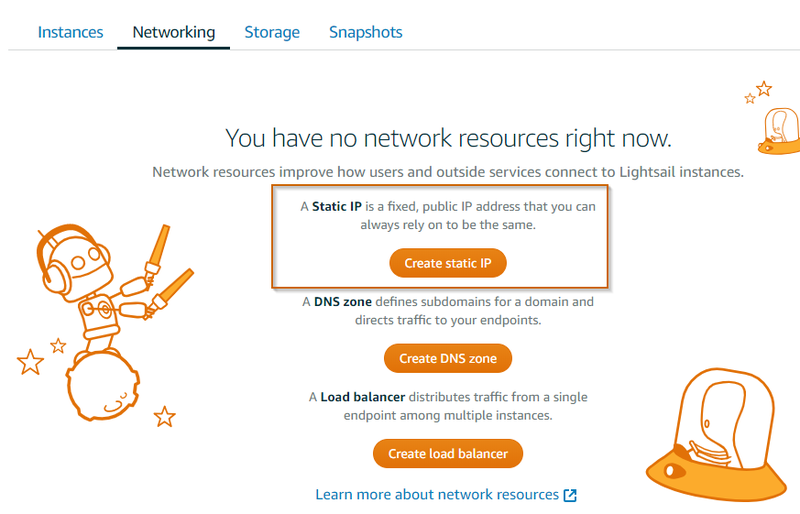 Lightsail supports Linux and Windows based virtual servers. Windows servers cost a bit more because of the additional license they have to pay Microsoft. For this setup we create a Linux VPS and choose the cheapest server for $3.50. The first month is free so it's a great way to test these servers. If you want to follow this tutorial you need an Amazon account. To sign up you can go to https://aws.amazon.com/ and click on the "Sign Up" button. Go to https://lightsail.aws.amazon.com and sign in with your Amazon account. Click on Create instance. 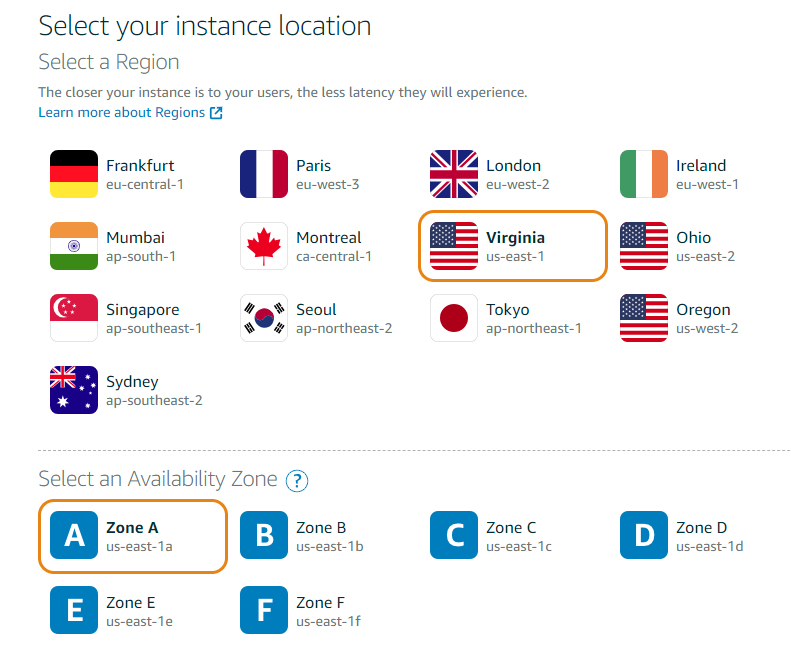 First you need to select the Region and Availability Zone where Amazon should create your new virtual server. The passphrase (string after -N) protects your private key. Replace it with something else! 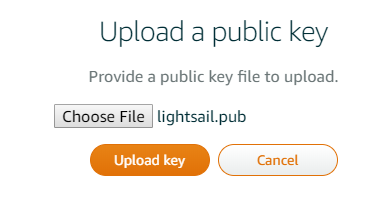 This command creates two files in the current directory, a public key (lightsail.pub) and a private key (lightsail). On the server creation page click on "Change SSH key pair"
select the public key file (lightsail.pub) and upload the key. And finally choose the instance plan. The cheapest server is powerful enough for just running Wireguard. Click "Create" and wait about a minute, while Amazon is preparing and starting your virtual server. 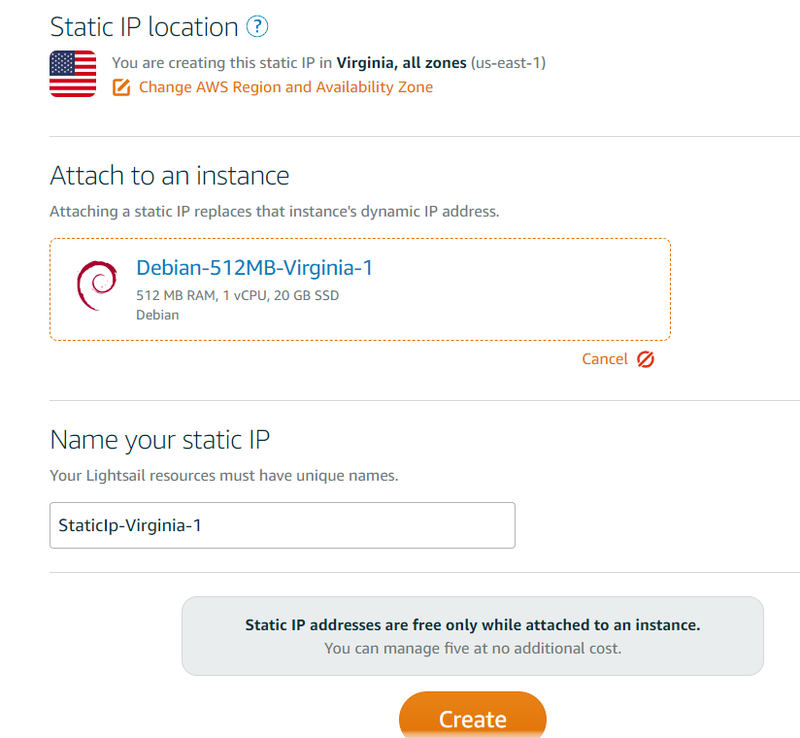 By default, Lightsail virtual servers get a new IP address each time you reboot them. But what we want is a static IP address that never changes. A static IP address for your server is included in the monthly fee. 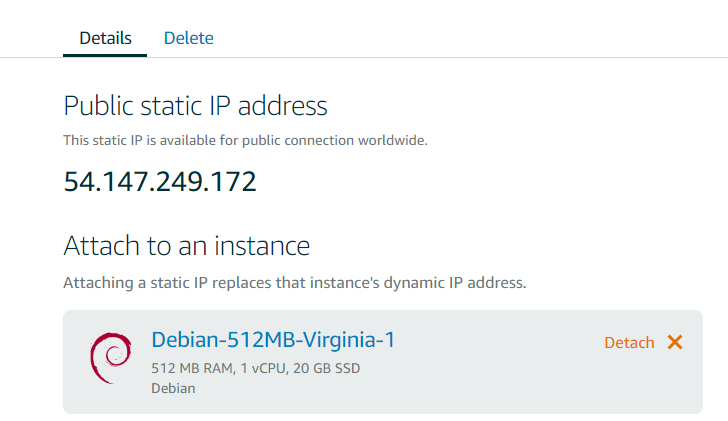 After your VPS is running click on the "Networking" tab and create a static IP address. Attach your instance to this static IP address and click "Create"
The website should now show you the static IP address for your server. Click on the name of your instance. In my case "Debian-512MB-Virgina-1". This opens the configuration page for a specific instance. Here we need to add a new firewall rule. Click on "Networking and "Edit rules". Delete the HTTP TCP 80 rule, we don't run a web server on this server and add a new UDP rule. You can choose any free port you want. Usually I pick a port between 32768 - 65535. For this blog post I'm going to use the port 54321. This concludes the configuration of our virtual server. You can close the website and we're going to continue on the command line. Connect to the server with SSH. -i specifies the path to the private key file. SSH asks you for the private key passphrase and when everything is correct connects you to your new virtual server. First we make sure that all installed packages are up to date. Next we install all the required packages for this tutorial: Wireguard, unbound (DNS server), iptables-persistent and qrencode. As mentioned at the beginning, Wireguard is a work in progress and there is no 1.0 release yet, so there is no Wireguard package in the release repository, but you can install it from the Debian unstable repository. The iptables-persistent installation asks you about saving the current iptables rules, select no. Wireguard is using public/private key cryptography. For that we need to create a public/private key pair for each participant of the VPN. In this setup we have the server and one Android phone, so we create two key pairs. 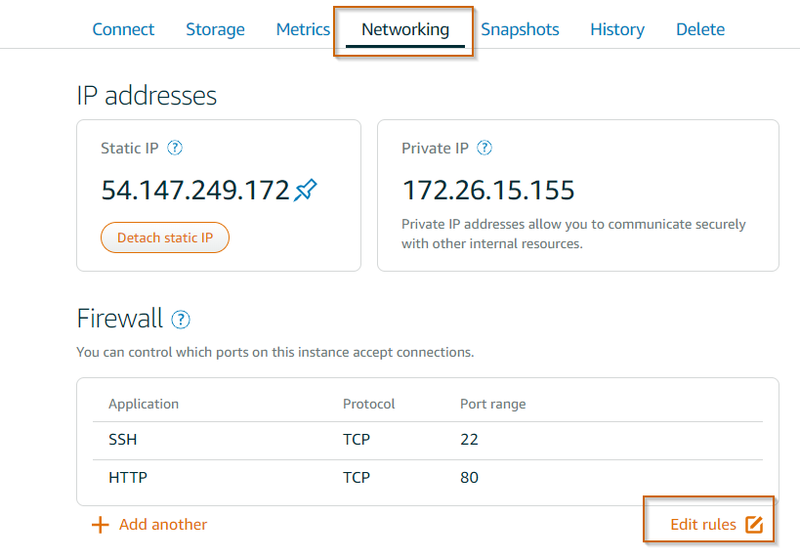 For the ListenPort you need to use the same port number that you specified in the UDP firewall rule on the Lightsail configuration page. This is the port where Wireguard is listening for incoming VPN connections. Save the file and close Nano. Next we replace the string server_private_key and client_public_key with the content of the files. Next we configure the DNS server unbound. This server is going to answer all DNS queries from the VPN clients. Save the file and exit Nano, restart the process and enable it so it automatically starts each time you boot the server. Check if the service is running. You should see a green active (running) text. We add the following iptables rules and make them persistent with netfilter-persistent, which is a command from the iptables-persistent package. Run the following commands in the shell. Make sure that you change the port (54321) if you use a different number. We also need to enable netfilter-persistent so it starts each time we boot our server and automatically loads the saved iptables rules. Now we start the Wireguard wg0 network interface and enable it so Linux automatically creates the interface each time we boot the server. Next we need to create a new configuration in the app. We can do this either from scratch by entering all the information manually or by importing a file. In this tutorial we're going to use the third option and create the configuration file on the server, display a QR code and then scan the QR code with the app. First we create the configuration file. I call it client2 in this example. Paste the following text into the editor. Make sure that the Endpoint points to the static IP address of your virtual server. Port must be the same as ListenPort in the wg0.conf file. If you have multiple clients you need to make sure that Address is free and not already assigned to another client. Next we replace the strings client_private_key and server_public_key with the real keys. Run the following command to display the QR code of the client2 file conent. 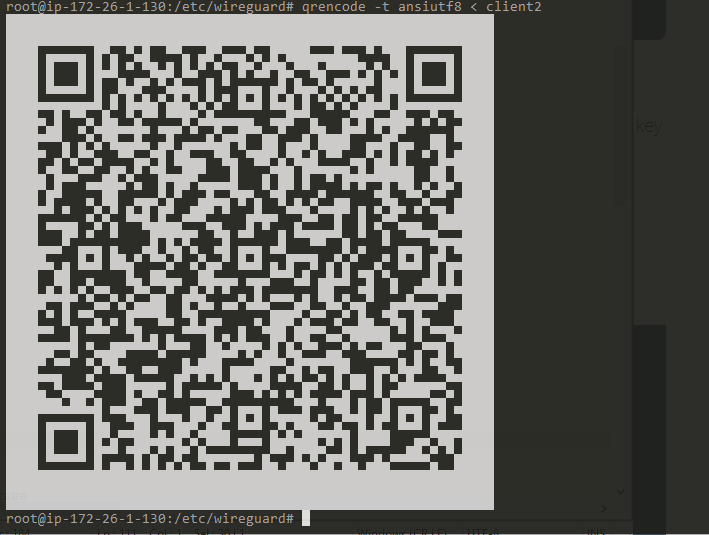 Open the Wireguard app on your Android phone, click on the + button, select "Create from QR code" and then point the camera to the QR code on your screen. If the app was able to successfully scan the code it asks for a tunnel name. Enter a name and tap on "Create tunnel". Enable the tunnel with the slider. You should see a key icon at the top of your screen. Or enter the search term "my ip" into the Google search. If the connection is routed through the VPN it should show the IP address of the virtual server as the public address. To check if DNS requests are routed through the VPN go to https://www.dnsleaktest.com and run the extended test. The test runs for a few seconds and displays a list of servers that answered the DNS queries. Make sure that this list only contains your Lightsail server. If you want to connect more Android clients you repeat the client configuration. Create a client configuration file. Make sure Address is not already assigned. Display the QR code and scan it with the app. The following link points to an interesting article about unbound. Especially the part about ad blocking could be useful for this set up when we connect with mobile devices to the VPN. If you are on a limited data plan this could save some bandwidth.